This article provides step-by-step instructions for scheduling up a "Start later" block session. Issue: I want to start a block but I want it to be for later. How do I set this up? Alright! So you want to schedule a block session for later. First you'll want to be sure you've signed in to your Freedom clients on your desktop or mobile devices. To begin scheduling, click the 'Start later' tab at the top of the grey window. Using this menu you can set the beginning and end times for the block by clicking on each menu for hours, minutes, and AM/PM beside both 'begin' and 'end'. 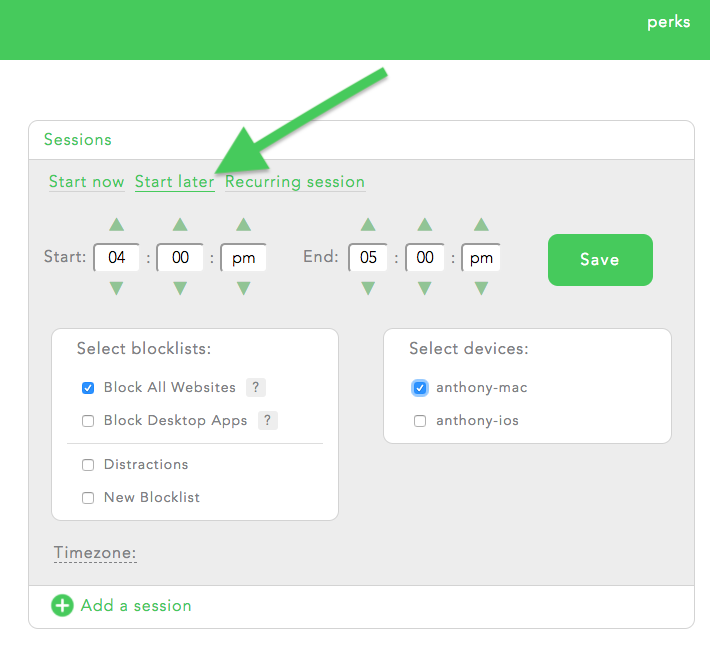 Choose the block list you would like to schedule and the devices you would like to include for the scheduled block. Save this schedule by clicking 'save'. Once you have saved a schedule it will appear in your schedule list. You may add more schedules by again clicking on 'schedule a block'. Issue: I scheduled a 'Start later' session but need to delete it! If you wish to delete a block you can click on the scheduled block and then click 'delete'. 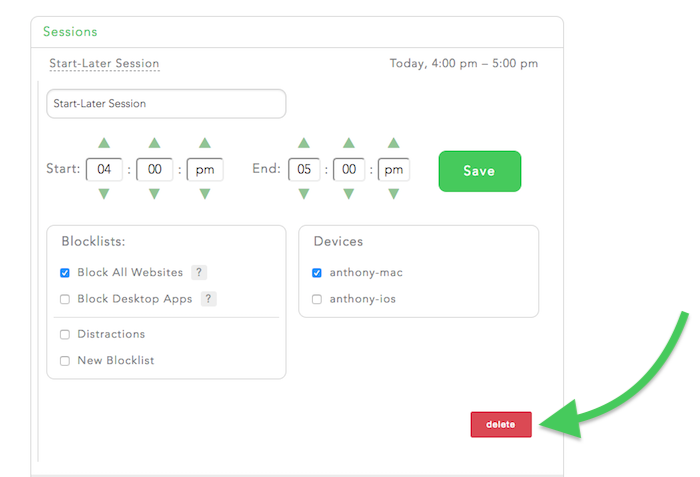 Note: You will only see the red 'delete' button next to inactive sessions--an actively running session cannot be deleted via the dashboard. If you have an active scheduled session you need removed, just send us a message via our chat or send us an email!